The unique construction of a soft micro fiber synthetic combined with an exclusive mesh allows the glove to fit most hands from small to extra large. 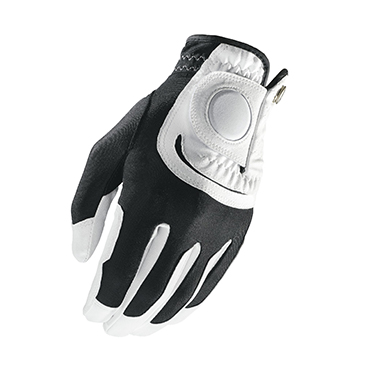 Available in both mens and womens the Wilson Fit All glove has a comfortable feel, sensitive touch and durable wear. The mens is White & Black in colour while the ladies is all white. The mesh provides a comfortable fit regardless of the size as it conforms to the hand and helps to wick moisture away. The ergonomic shaped tab is designed to give a strong closure and has a blank disc to hold the logo of your choice.